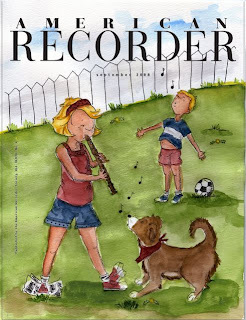 I posted the rough draft of my idea for the American Recorder Magazine cover last time. Here is the final draft that I sent in. I enjoyed the challenge of working with this specific assignment and deadline. I know for myself, I like the discipline of real and self-imposed deadlines. I've been committing myself to a new piece for Illustration Friday every week, and I think it has really helped me to loosen up and experiment with different ideas, materials, and style. It's a fun, low-pressure way to stay motivated and get feedback on one's work. I've been working non-stop since December for a freelance design client. I desperately needed a break, so I took last week off. As luck would have it, my son and I both got a horrible cold. 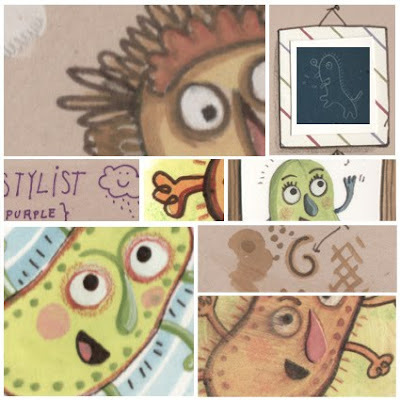 In an ironic twist, germs were the subject of this month's experiments. I pushed work aside earlier in the month and found time to play with gouache mixed with other materials: colored pencil, pens, collage, etc. Today I made a little more time to play and really let loose. 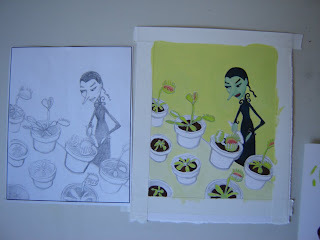 The larger versions of these are on my sketch blog along with details about the media used. I had been working on 3 different projects during the week, just in sketch mode - but something about working on that many things at once really clicked. I let go of that sense of work order, and actually worked like I think an artist should - by gut, and feeling. How rare for me and, it turns out, how totally productive! I felt like ideas were just popping up everywhere!!! I really needed this time to play. 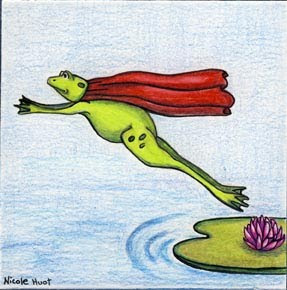 I spent a few days earlier in the week mourning the things I was 'going to do' and just gave myself a pass. As artists I think we too often let our head get in the way of our process. I hope I can keep this creative spurt flowing, or at least be present enough to tuck the best ideas away for future projects. Here is some sequential work I did a few years ago while taking a class in visual dynamics. 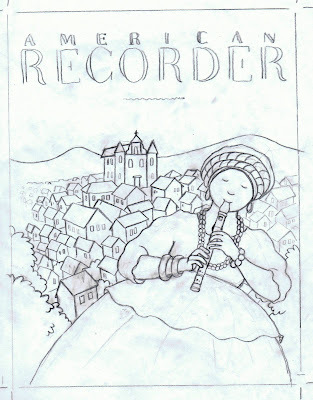 It was a preliminary work for a magazine spread . I ended up using photos for the project. The instructor emphasized concept and I had fun developing this idea of a whisk trapping an egg. This concept gave rise to other related ideas which I may use at some time. What do you think? Am I one the right path? Would all shades of gray be better, and I shouldn't worry about a corpse girl? Or should it be only linework, with no gray? ...literally and figuratively! I'm only kind of sure it's my turn to post right now. I seem to have lost all sense of time...my weeks have been spinning by in a blur. I just started a new job today--the first full-time position I've ever had in my field. 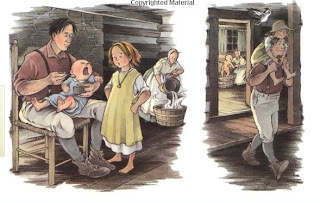 I started working as a graphic illustrator at a company in MA. I'm absolutely thrilled. I feel as though I've reached of one of the many goals I set for myself when I returned to school nearly 3 years ago. There have been many trials and tribulations along the way but I've made it this far. Support from friends and family has been invaluable when things have been rough. After this semester, I'll only have two classes left before I'll reach another big goal - to have my certificate in hand. Woo-hoo! I finished my previous job this past week...my last day of work being Saturday. This left me only Sunday and the remaining two evenings this week to scrape together Thursday's homework (Tuesday is a loss because I have another class that night). Unfortunately, my last job was part-time with weird hours. My current job is your regular 8-5 with a 45 minute commute tossed in for fun...and my schedule is all thrown off. Sleep-wise, I'm in trouble. I went to check the blog today and remembered it was my turn. I am going to call this, What am I going to do with you Wednesday. 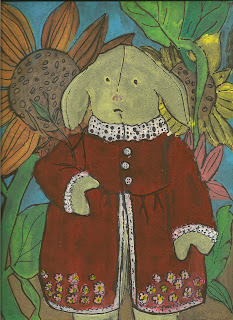 This is Lila Mae, she is a sheep (yes sheep, not bunny) that I made a poseable doll to draw from and had different outfits to dress her in, etc. and a story or two that went with her. She has not been a muse for a while, should she get packed away for good? The picture was made with a styrofoam print on black paper. Maybe the medium stays and the character goes. 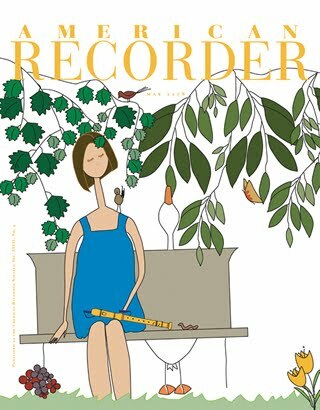 Working on ideas for a cover of the American Recorder Magazine. 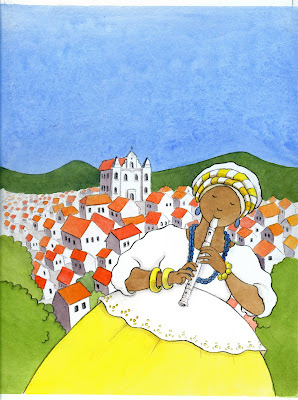 One of the future editions is highlighting Brazil, so this piece includes a traditional costume and the look of one of the cities' architecture. Need to work on color studies next, although I know all the roofs will be orange against the blue sky in the background. I have an opportunity to submit work for a great show, with a food theme. I might not really get to creating the art in time, but I was inspired to sketch and think outside my usual materials. I pictured painting gouache on a wood panel, something I've always wanted to try. 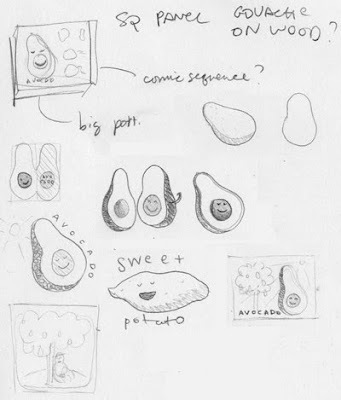 I'd like to keep exploring avocados, and that aspect where you cut them in half and one side has the seed/nut, and the other is empty. Speaking of great shows, I'm excited to head down to Ipswich, MA for a Children's Illustration show at Wavepaint Gallery. 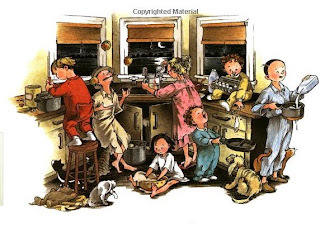 Wow - look at this lineup: Mary Jane Begin, Pat Lowery Collins, Ed Emberley, Jamie Harper, Jarrett Krosoczka, Julia Purinton, and Andy J. Smith How could you not go check this out if you're in the area? Remember the sketch I posted last time? 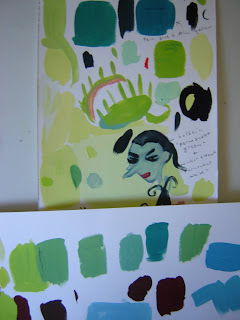 Here is the painting in progress taped still to my drafting table. First it was necessary to clean up the sketch in Photoshop. Next, I lightened it and printed it directly onto 140 lb. watercolor paper. I don't like leaving paintings incomplete for too long, but I have a design project that must be done by tomorrow. I will post somewhere when it's finished. 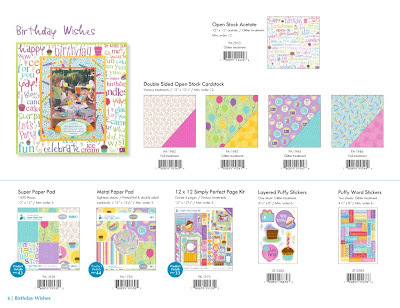 Time for a little shameless self-promotion.... my newest scrapbooking collection is now available from Momenta, Inc, and is called Birthday Wishes. 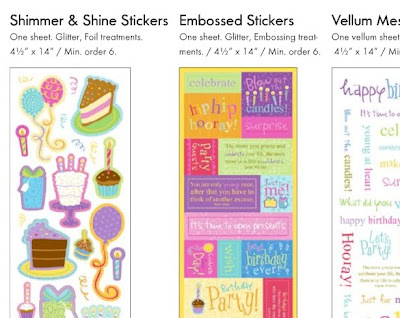 The line includes everything from stickers to papers, scrapbooking kits of all sizes, cardmaking kits, and a whole lotta stuff in between. I'm really excited about this - I think the artwork and the product design turned out great, and some of this stuff is already available in stores now, with more on the way. 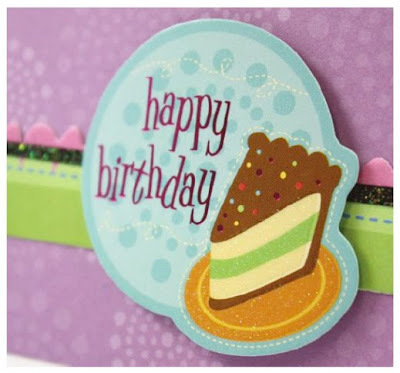 Momenta has recently launched a beautiful new website, www.momenta.com and on it you can see my Birthday Wishes collection, along with the rest of their current catalog. On the new site you can view instructional videos and even download free designs - some of which are by yours truly - so come check it out! Getting a little more free, I think? 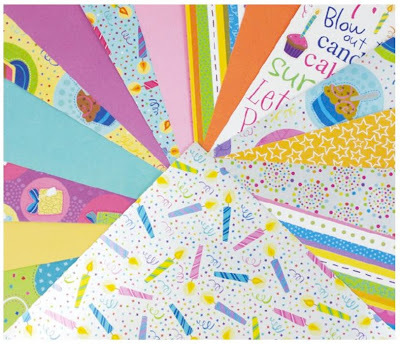 I definitely had more fun with these pages than with some of the other ones. Hopefully it leads to some good ideas for this assignment. Happy sketching! 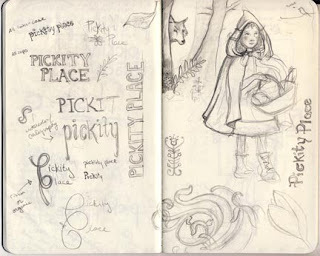 As Gina mentioned a few posts ago, the NE SCBWI Conference is fast approaching. 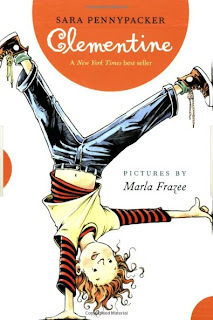 I can barely contain my excitement because Marla Frazee will be there this year! Marla, [I call her Marla because, although we've never met, in my mind I feel like I've known her for a very long time ... it might have something to do with the extensive library of her books we have laying all over the house! I hope she doesn't mind] ANYWAY, Marla is an amazing illustrator who has an uncanny ability to capture gesture and expression with very simple lines. 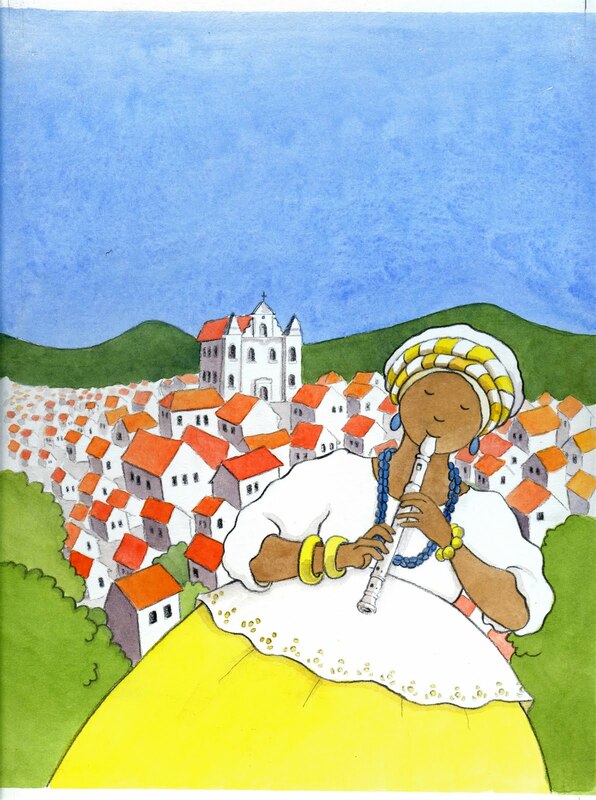 If you're not familiar with her work, get ye to a library or a bookstore now! I mean it... NOW! 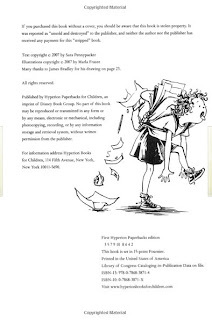 I am so fortunate to be able to take a workshop with her at this year's NE-SCBWI conference! Perhaps a nano of her talent will transfer to me via osmosis! Keep your fingers crossed! :) These are some examples of her work (tell me she isn't amazing!) 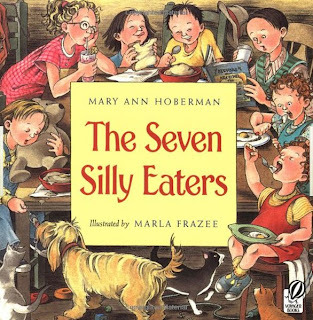 from Sara Pennypacker's Clementine (February 2008), Mary Ann Hoberman's The Seven Silly Eaters (February 1997), and Hush, Little Baby (August 1999). 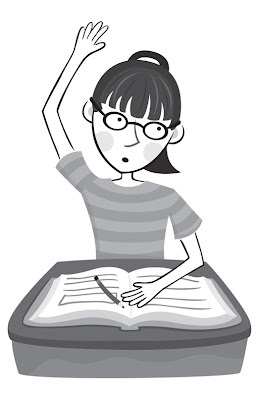 I mean, seriously, take a look at the way she captures the gestures. Amazing! It's not just in the facial expressions ... it's the body! 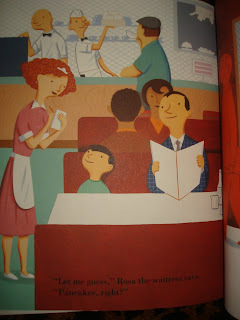 She captures the moods of these characters soooo well! Look at the way Clementine is up on her tip-toes. I love this one! I know my girls have come home from school in this melodramatic way from time to time! Clementine is so full of personality! 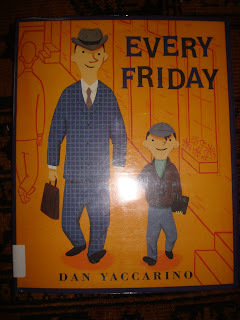 This book Every Friday by Dan Yaccarino is one of my favorites to check out of the library and now a favorite of my son's as well. 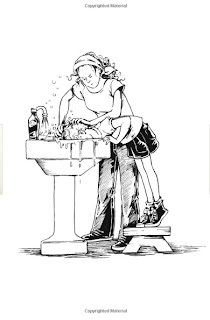 I have always been fascinated with the fifties and early sixties because the early fifties is when my parents 60 year relationship began and the late fifties and early sixties is when my siblings were born and it was all the life before me. Also I love the clothes, the furniture, and the mid-century modern aesthetic. Dan's style is great his story is simple and poignant and you wish what happens in this book that takes place in the fifties or sixties still happens somewhere every Friday today.